The Sekong, Sesan and Sre Pok basins are richly endowed with natural resources and support the livelihoods of an estimated 3.5 million people living in Cambodia, Lao PDR and Vietnam. 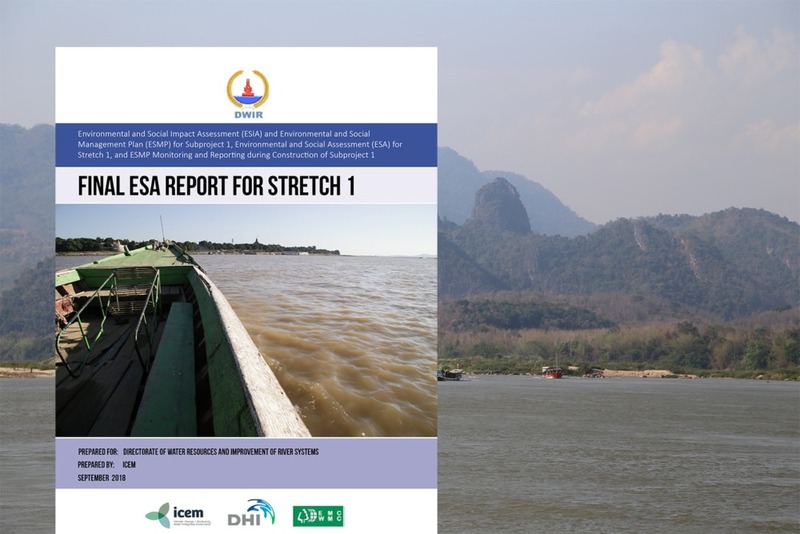 In early-March, potential trade-offs among development decisions in the 3S basins, and their social, economic and environmental risks were the topic of a dialogue involving government representatives of the Lower Mekong Basin (LMB) countries and technical experts from regional organisations. 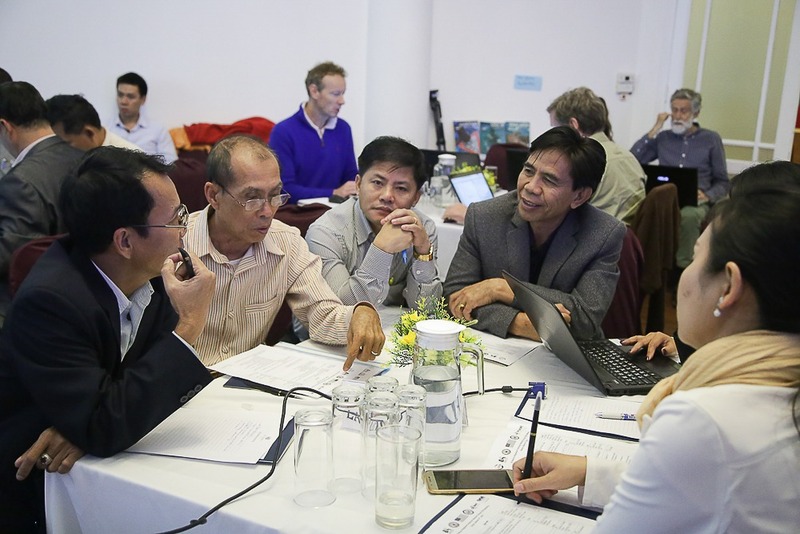 The two-day event was the launch of the project, Measuring, Understanding and Adapting to Nexus trade-offs in the 3S River Basins, followed by the first meeting of the 3S Nexus Regional Technical Advisory Group (TAG). 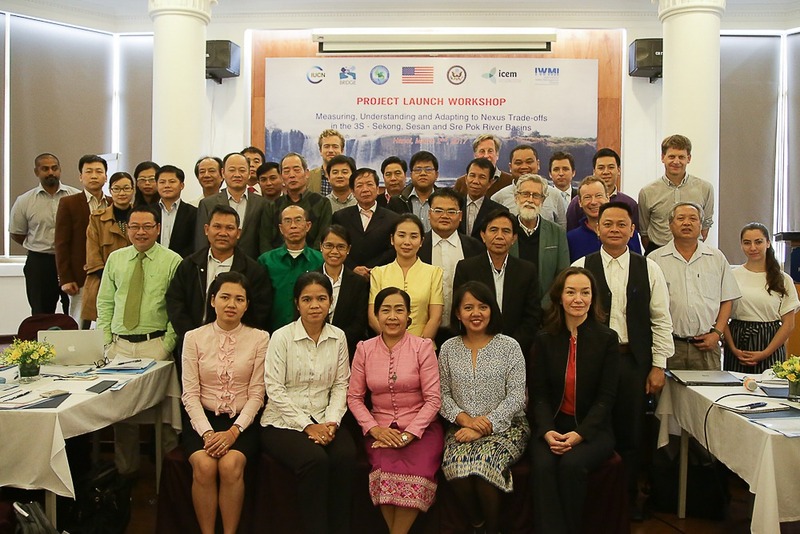 The project forms part of the Lower Mekong Initiative (LMI) Nexus Futures Programme, and aims to improve the quality of planning and investment in the 3S region. The “nexus” refers to the closely bound interaction between water, energy and food production and use. The vision is coordinated planning, development, optimization and operation of portfolios of water infrastructure for benefits across sectors and, in the case of the 3S basins, across international boundaries. “The LMI has created a platform to share best practices for more than seven years and during this time, the intersection between water, energy and food clearly became an issue of common concern for all parties,” said Jason McInerney, Unit Chief for Environment, Science, Technology and Health for the Embassy of United Stated of America (a partner and funder of the LMI) at the event opening. In the 3S region, the nexus dialogue is led by IUCN, as part of the Building River Dialogue and Governance (BRIDGE) programme, which supports the capacities of countries sharing river or lake basins to implement effective water management arrangements. 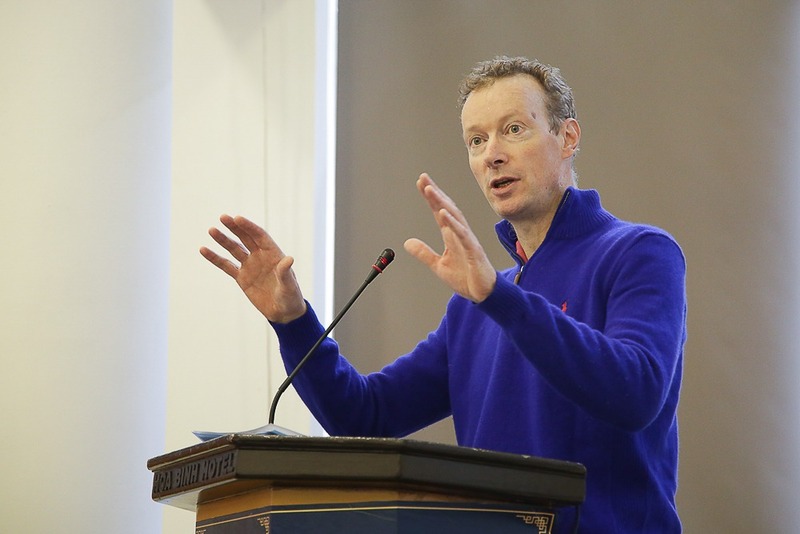 “As the Asian region develops, the 3S Rivers will continue to play a significant role in the economic growth of the basin,” said Jake Brunner, head of IUCN Indo-Burma. “The benefits of long-term transboundary water conservations significantly exceeds the short-term benefits of unilateral project based development,” he said. Co-funded by BRIDGE, the nexus assessment is being conducted by ICEM – International Center for Environmental Management and International Water Management Institute (IWMI) in partnership with IUCN. The launch and TAG meeting relates to stream 1 of the project, which involves conducting a nexus assessment guided by the TAG. “The nexus assessment is integral to, and will underpin the rest of the work that needs to take place,” said Brunner. Once completed, the nexus assessment will be followed by the integration of the assessment outcomes with key national and regional planning processes (stream 2) and finally, utilizing the nexus assessment outcomes and principles to enhance the diplomatic and economic regional dialogue (stream 3). Participants at the launch of the project, Measuring, Understanding and Adapting to Nexus trade-offs in the 3S River Basins. A strategic element of the nexus assessment is the TAG. The expert group will be closely involved in the design and delivery of the project. “We need to take advantage of your experience and expertise in shaping the nexus assessment and the final product,” said Brunner to the TAG members present. A large part of the two-day event was dedicated to sessions where country representatives shared their knowledge and ideas in a series of presentations on the major drivers of change in water use in the 3S basins, the possible impacts for people and the environment, and the extent to which win-win outcomes can be achieved in competing water uses. Also, group discussions were held on initiatives in place to address management challenges, knowledge gaps that need to be filled, where the nexus project fits institutionally, and how it can best influence decision makers. The workshop and TAG meeting was the first of three that will take place in early 2017 for the purpose of the nexus assessment (stream 1). The project completion date (streams 1 – 3) is set for 2018.